Home / Android / Android Marshmallow / Android Marshmallow: Copy of iOS9? Android Marshmallow: Copy of iOS9? Before we start this article, we want to clarify a point that we are not supporting any OS, i.e, Android Marshmallow or iOS9. We believe that both have some awesome features and a unique fan following. We heard of the news, i.e, about iOS copying Android features, but with the recent launch of Android Marshmallow (Android 6.0) it seems that the Google is on the other side of the table – with lots of features of Android Marshmallow matching or you can say resembling like iOS9, shows Google is inspired by the iOS features. 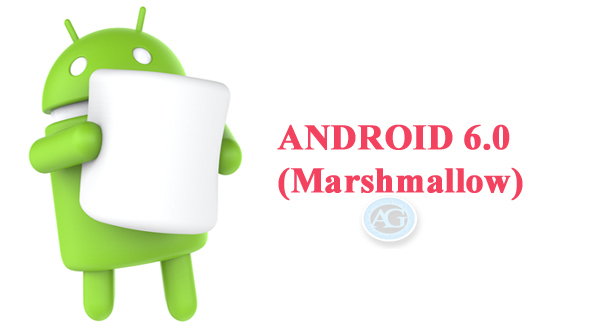 In this article, we will talk about five features which Android Marshmallow copied (as resembles) from Apple iOS9. Android Pay: Copy of Apple Pay? Google has kept Google Wallet a side and decided to introduce a new payment method called “Android Pay”. Android Pay looks similar to Apple Pay, wait it’s not only name. Android Pay gives you option to upload your credit card information and uses NFC technology to conduct transactions at pay terminals. Android Pay also helps you to authenticate your transaction with fingerprint. Yes, you read it correct, fingerprint Authentication, sounds similar to Apple’s Touch ID, correct! Fingerprint Scanner: Copy of Touch ID? Apple has introduced Touch ID back in 2013, since then it is securing the users iPhones. With Android Marshmallow, Android has introduced the fingerprint options in their OS. With Marshmallow, finally Android users will be able to secure their phone with the help of their fingerprint. This feature will also play a vital role in Android Pay. There are some significant manufacturers like Samsung, Motorola, OnePlus, who have given the option of fingerprint scanning and security in their mobiles, but it was never a part of Android OS. Here also it seems they are inspired by Apple. More control on App Permissions: It was a part of iOS! In the earlier version of Android, users give or deny the permission at the time of installing the Apps. In Android Marshmallow, user will get notification every time apps access the hardware of your phone, like Camera, Location, etc. you can allow access according to your need. Android Marshmallow gives you an option where you can Access Google Now’s voice search directly from lock screen. This feature is also a copied part of iOS from early days. Now Android users will be able to enjoy the voice assistance just by swiping from the lower left corner of the lock screen. DND is one of the great feature available for the Smartphone users, for there private time. However, sometimes emergencies do occur at any time, Android Marshmallow has added the option to allow Repeat Callers to come through under its DND sections – earlier this feature was only available for the iOS users. Feed Burner for all the updates directly to your mail box.